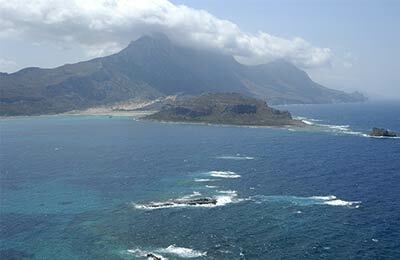 Karpathos is the second largest island in the Dodecanese, behind the island of Rhodes. It is situated in the South Eastern Aegean Sea, and due to its remote location the tradition and culture is unique and well preserved. Karpathos ferry port connects the island to Kos and Rhodes in the Dodecanese, Santorini in the Cyclades, and Piraeus, near Athens in mainland Greece. The easy to use booking form from AFerry makes it very simple to find the ferry best suited to you. Ferries to and from Karpathos are operated by Blue Star Ferries. Below you can find Karpathos ferry times, as well as our best deals. Blue Star Ferries proudly boasts one of the most modern ferry fleets operating in Greece. On board their ferries, as well as a range of cabins and seating including airline style seats, you will find an a la carte restaurant, cafe, bar, shops, internet access, ATM machine and more. Some ships also feature a night club and swimming pool. At Karpathos Ferry Port services and facilities are limited, but all amenities are just a short walk away in the town. 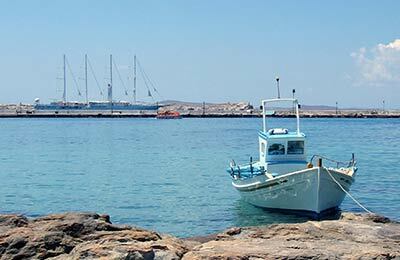 The port is located in the main town of Karpathos, and has reliable connections to and from all corners of the island. The ferry port is located approximately 20 minutes from the airport by car. Karpathos is mostly famous for fine white sandy beaches, which can be found on the South of the island, not far from the ferry port. The crystal clear waters provide the perfect setting for swimming and watersports. Karpathos is an island of natural beauty and offers many hiking trails as the settlements are surrounded by mountaineous terrain. Karpathos has a variety of family taverns, each with unique and delicious cuisine. All dishes are made with fresh, local produce and seafood plays a large part on the menu. Traditional specialities on Karpathos include handmade pasta, onion bread and cheese pies.